Just in time for Black History Month come three excellent picture books which help teachers discuss the experiences of Black Americans by examining both well- and little-known real life events. My personal favorite of the three titles featured here is Let Them Play. One reason is that it shared a story I hadn't heard before. But what made more of an impression upon me was the reminder that not even children were immune from the racism of 1950s America. Written by Margot Theis Raven and illustrated by Chris Ellison, Let Them Play is the story of the Cannon Street YMCA All-Stars, an all-black team from Charleston, South Carolina with dreams of becoming Little League World Champions. But what happens when every other team in the sixty-two leagues of South Carolina refuses to play them, going so far as to drop out of Little League to form their own white-only leagues? When the boycott spreads to eleven Southern states, the Cannon Street All-Stars become "the team nobody would play." How can they advance to the World Series in Williamsport if they don’t play a single game? This book will become a class favorite, one which your students will want to talk about, research, and read more than once. SPOILER ALERT: I highly recommend you visit the site to read more details concerning this little-known event in youth sports, but skip this if you'd rather read the outcome for yourself. (Looking for companion titles? Willie and the All-Stars by Floyd Cooper and Just Like Josh Gibson, written by Angela Johnson and illustrated by Beth Peck, are my immediate suggestions). Pappy's Handkerchief, written by Devin Scillian and illustrated by Chris Ellison, relates the story of the Oklahoma Land Run and the lesser-known opportunity it provided for many recently freed slaves to finally own land. Through the eyes of one fictitious family, Pappy's Handkerchief tells the tale of hundreds of black families who came to the Territory seeking their dreams. Staking a claim required both risk and sacrifice, and not every family was up to the challenge. But those who dared to chase their dream (literally!) helped to build a new state that would at one time boasted more all-black towns than any other state. Scillian’s word choice is exacting, while Ellison’s paintings bring to life the historical era. Teachers can download a teaching guide containing guiding questions as well as activities which can be adapted by age and grade level. One interesting extension activity is to see how some residents of Oklahoma (Oklahomans?) reenacted this event in 2007. Students might write about one event from their state's history which is, or should be, reenacted to celebrate its historical significance. You can also contrast what children learn in Pappy's Handkerchief to Hollywood's representation of that same event. In the Tom Cruise film Far and Away we see not even one black American at the Oklahoma Land Run, although we do catch a glimpse of the Native Americans whose land this once was. 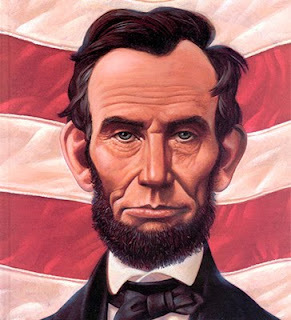 (Are you as shocked as I am that we can't trust Hollywood to get history right?). Most elementary children at one time or another study the Underground Railroad, but few realize that its conductors were ordinary people like themselves: men, women, and children willing to risk their own freedom to help others (the Fugitive Slave Act made it a crime for anyone, even whites, to help escaping slaves). In Friend on Freedom River, written by Gloria Whelan and illustrated by Gijsbert van Frankenhuyzen, young Louis must choose whether to help a runaway family cross the icy Detroit River to freedom in Canada. Although his father has done this many times before, Father is away up north and the night is colder than any other Louis has ever experienced. This book puts faces on a part of our history which really needs to be seen from a personal perspective to be fully appreciated. Be sure to check out the downloadable teacher's guide from Sleeping Bear Press. In studying the Underground Railroad I'd also highly recommended several interactive sites including National Geographic's The Underground Railroad, Scholastic's Underground Railroad: Escape From Slavery (supported with a teacher's guide as well as printable pdfs for students), and an Interactive Map from Edupace.com. Thinkport's terrific Pathways to Freedom: Maryland and the Underground Railroad contains loads of activities which can be completed both online and off (if you're unfamiliar with Thinkport, check out a recent post from my How to Teach a Novel blog). I highly recommend these three gorgeous books for your home or classroom library. Sleeping Bear Press has generously offered one copy of each which they'll ship directly to three lucky readers of Teach with Picture Books. To enter, email me by 11:00 PM EST, this Wednesday, February 3rd. Simply write "Black History Books" in subject line, and you're all set. You can include your whole address if you're feeling especially lucky! Well, the no nonsense title just about says it all. 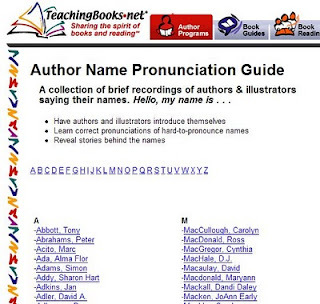 At this TeachingBooks.Net page you'll find an audio collection of children's writers and illustrators pronouncing their own names. Time for a quiz! Sound these out before you click on them: How do you say Kevin Henkes? Louis Sachar? Jon Scieszka? I love this simple site because I totally sympathize. Have you seen my name? Keith Schoch. Just so you know, it's pronounced shoke, which is simple enough, right? But giving a kid with a developmental speech problem a th and a sh in the same mouthful is kind of a dirty trick. If you ever see me presenting, you'll probably notice that at no time do I ever say my full name, but you'll hear my last name eventually when I act out a student asking me a question. So check this site out and let's stop slaughtering these names! (By the way, I've got the winners picked for the most recent giveaway, and once I get their permission I'll post those names here. I'm still in the process of notifications and confirmations). Long time reader Melissa emailed me: "Keith, you're killing me. You get me so excited about picture books, but you haven't had a giveaway since December! When's the next one?" First of all, it's good to hear that I can still get anyone excited, and secondly, Melissa's right. It's time to give away some books. In the past I've always asked for an email to enter, but a fellow blogger gave me a hard time about this. She said I was making it way too easy, and making everyone else (other book bloggers) look bad. Sorry; that wasn't my intention. I was instead taking a jab at the corporate sites that require a TON of info for access to read one article. So, to enter for any of the books below, please join this site as a follower (see the link in the sidebar to the right; if given the choice, choose "follow publicly" or I won't be able to see your name). I won't spam you, friend you on Facebook, or email you chain letters. Those who are already following: thanks for the support, and you're grandfathered in. (I also have a secret hope that publishers will send more books for giveaway if they see that the site has a large number of followers; if that's true, we all win!). The Best Family in the World, written by Susana López and illustrated by Ulises Wensell, appeared in a post by that same name. My wife, a kindergarten teacher, stole my review copy, but Kane Miller generously agreed to send another for our readers. They understand the fanaticism of kindergarten teachers. Siege! Can You Capture a Castle? and Conquest! Can You Build a Roman City?, written by Julia Bruce and illustrated by Peter Dennis, are published by Enslow Publishers here in New Jersey. They appeared in the Step Into History post. 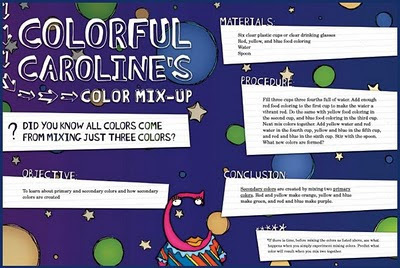 Colorful Caroline and Gilbert Gas were the two Quirkles titles I mentioned in The Quirkles: Language Learning through Science. That series seemed to be a big hit with some folks who picked up the link through Twitter. From Shen's Books I have Grandfather's Story Cloth and D is for Doufu: An Alphabet Book of Chinese Culture from the World of Stories post. Deadline is Friday, Jan. 29, 11:00 PM EST. But stop in before then; we'll also have some terrific Black History titles for giveaway this coming week as well. It seems that in elementary school we focus a majority of our time and efforts on fiction. Although I moved up to sixth grade this year, I've noticed that the fiction focus remains. Is it any wonder, then, that the same students who excel at reading, discussing, and writing about characters, plots, and themes struggle with social studies, science, and math texts? I think a great way to hook students on nonfiction is to offer them well written, well illustrated picture books that compliment their self-selected reading (often chapter books) and at the same time their content areas of study. One student, for example, became really intrigued by Ancient Greece while studying that unit in social studies. So when I requested topics for a nonfiction book report, he naturally gravitated toward that topic and the dozen nonfiction texts on Ancient Greece in my classroom. So what's the big deal? The big deal is that the nonfiction picture books (let's call them nonfiction mentor texts), while colorful and inviting, use all the standard conventions of harder nonfiction trade books and textbooks: table of contents, section headings and subheadings, bold vocabulary, text sidebars, diagrams, cutaways and cross-sections, question-answer format, captions, timelines, glossary, and index. In other words, all the critical yet often confusing attributes of a textbook! 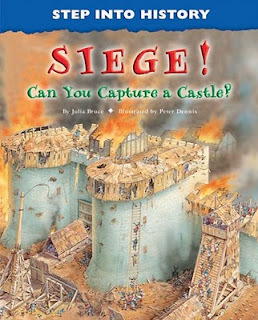 Two perfect examples of such texts come from Enslow Publishers: Siege! Can You Capture a Castle? and Conquest! Can You Build a Roman City? Both are illustrated with wide and close views of the historical eras and people they describe, and both contain all of the nonfiction picture book/textbook conventions I listed above. Other titles in the Step Into History series include Hunt! Can You Survive the Stone Age? and Sail! Can You Command a Sea Voyage? So how can nonfiction picture books be used in the classroom? Let me quote some reviews of the Enslow titles and take it from there. In reviewing Siege! Can You Capture a Castle? Booklist commented: "This second-person narrative approach creates immediacy and a dramatic context, while never overwhelming the information presented. 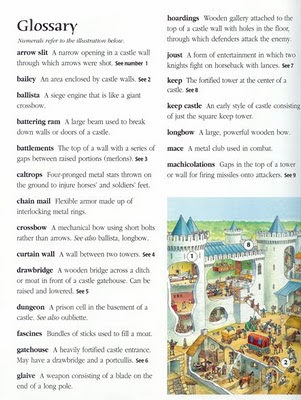 Readers will learn a good deal about the design of castles, their strengths, and their vulnerability to various weapons and strategies . . . An appealing, informative book for browsing or research." With this in mind, these texts can be used as "gateway" books which will entice readers to explore concepts in greater detail. While I do have nearly a dozen books on snakes, they vary greatly in their format, depth, and reading levels. An unsuspecting student will get hooked on one of the easier titles, and with a new found interest (and confidence) in the topic, she'll more likely tackle a more difficult text upon completing the first one. School Library Journal reviewed Hunt! Can You Survive the Stone Age? by saying: "The vibrant color illustrations are exquisitely detailed but never gruesome . . . the texts are reliable and will be useful for report writers." Nonfiction picture books make great reference tools for research! And these were exactly the texts I had in mind when I assigned my sixth graders a Fabulous Fact Folder project this month. The project was in no way difficult, and that left students free to explore a nonfiction topic which might have been totally new to them. You can download the report format; the three pages pictured get stapled into a manila file folder which in turn is decorated and serves as the report cover. In reviewing Conquest! Can You Build a Roman City? Library Media Collection stated: "The text and diagrams convey details . . . which could be a means for integrating science or math concepts into a history unit, making the books even more valuable." Couldn't have said it better myself! I love using historical contexts to integrate math, science, and language. Students really get into the "stories" of history, which makes the related learning extensions not only painless but enjoyable! When recently learning about the Panama Canal, for example, one student asked, "Is this a real story?" He thought I had created the story context just to teach him ten vocabulary words! 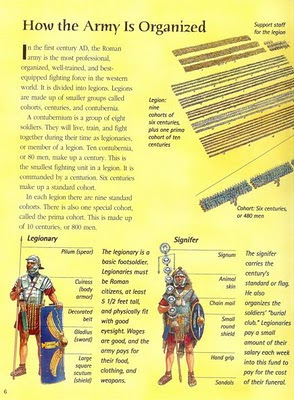 In the past I've also created math problems using the configurations of Roman legions. Kind of cool when kids realize that a lot of those "math words" such as decades and century have their origins in Latin. I'll admit I didn't really do the topic justice here; there is so much more that can be done with these texts! 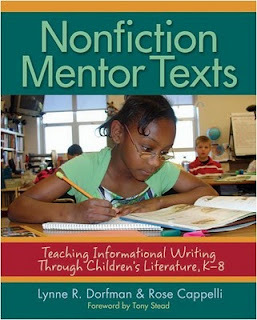 I highly recommend the Stenhouse title Nonfiction Mentor Texts: Teaching Informational Writing through Children's Literature, K-8. Tons of great ideas for making the most of nonfiction. Enslow Publishers is a school publishing company; its success and reputation depend upon delivering quality, factually accurate titles. In addition to the titles I've named they have several hundred more, running a huge range of topics. I'd recommend requesting a catalog and getting some of their books on your next school order. A recent Education Week article pointed out the fact that experts are recommending an earlier start to teaching science. Most preschool and kindergarten teachers I know wouldn't argue with this suggestion; in fact, these same teachers encourage their students to interact in a truly hands-on way. After all, when you teach three, four, five, and six year-olds, every subject is hands-on anyway, whether you intend it that way or not. In connection with this emphasis on science, preschool through lower elementary teachers will be happy to know that a series of science picture books was created just for them. The Quirkles series is an A-Z collection of picture books, each of which is part story, part alphabet book, part phonics book, part science reference book, and part experiment book. Students first enjoy a short, science infused tale which is age appropriate in topic, vocabulary, and length. Every page of the tale is filled with zany, colorful illustrations. The tale tells tells a complete story, but also relates a solid scientific concept. Gilbert Gas, for example, explains why a shaken bottle of soda explodes on unsuspecting Gary Goat. (Did you notice the alliteration? Your students will as well!). Colorful Caroline explains how mixing primary colors produces secondary colors. Each tale is followed by two related experiments requiring minimal materials while delivering maximum magic! (Sorry, that alliteration stuff is contagious). Okay, not really magic. But definitely some WOW results that will get kids excited about science. The series is 26 books (that's right, one for each letter of the alphabet) containing 52 experiments (you can preview spreads from all books from a single page at the web site). It is, quite literally, an entire science curriculum, especially when you incorporate teaching guides, extension activities, and other extras provided by the publisher. If you're a teacher of the younger crowd, bless you! I could never do it! And if you're hoping to take your science and language studies to the next level, this series is worth a look. I'm a niche blogger. I know that and I still sleep at night. I will not be in anyone's top ten list unless, of course, the list is titled "Best Blogs for Helping Upper Elementary and Middle School Teachers Use Picture Books in Their Instruction." But even then, I'm not a sure thing. But being a niche guy, I love to explore books from niche children's publishers. Like my blog, they choose to focus their efforts on a single purpose. I've blogged about Lee and Low in the past, and that publishing house absolutely fits this description. But now let me introduce you to Shen's Books. Shen’s Books is a publisher of multicultural children’s literature that emphasizes cultural diversity and tolerance, with a focus on introducing children to the cultures of Asia. Our incredibly talented authors and illustrators have created books for elementary grade children that reflect the highest standards of art and literature. Through books, we can share a world of stories, building greater understanding and tolerance within our increasingly diverse communities as well as throughout our continuously shrinking globe. I checked out their web site and many of their books, and they absolutely deliver on these promises. 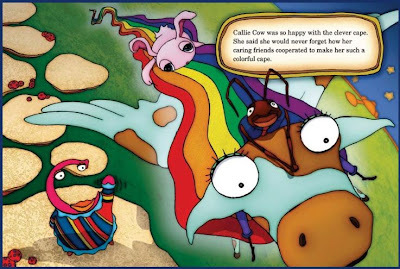 But while providing a much needed emphasis on multicultural storytelling, they in no way skimped on storytelling and illustration, the very heart and soul of picture books. In Grandfather's Story Cloth, for example, young Chersheng is upset by his grandfather's memory loss due to Alzheimer's disease. His memories seem to return when Grandfather studies the images on the story cloth he created while in a refugee camp following the Vietnam War. Even then, Chersheng wonders why the memories end there. Why didn't grandfather create another story cloth to illustrate his immigration to America and the new life he made? Chersheng discovers a way to make that happen. Like Mem Fox's Wilfrid Gordon MacDonald Partridge, this books holds many possibilities for discussions of memory, as well as our relationships with older generations. Like that book, Grandfather's Story Cloth doesn't offer solutions but understanding. See the guiding questions at a previous post for Wilfrid Gordon; many can be adapted for use with Grandfather's Story Cloth. Many grade level curriculums include units on immigration, and this book provides a glimpse of a cultural group that is often forgotten when discussing this topic. The Hmong people who helped the United States during the Vietnam War sacrificed their loved ones and their homeland, and came to America as true refugees. What conflicts were evident in their struggle to acclimate to this new country, while trying to maintain the memories and traditions of the old? Many picture books employ quilts as metaphors for relationships. This book uses a similar symbol, but in a way that isn't contrived. 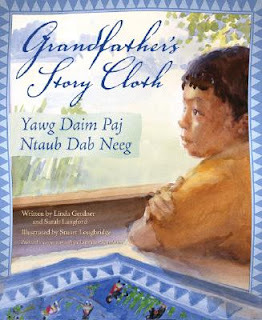 How is Grandfather's Story Cloth similar in theme to Valerie Flournoy's The Patchwork Quilt? What do both books tell us about our relationships with our family members? Teachers may wish for students to explore other ways in which cultures have recorded their stories: How is this story cloth similar to ancient petroglyphs found the world over? How is it similar to Sioux picture writing, to Egyptian hieroglyphics, to the Bayeux Tapestry? Do we as a culture still share messages in a similar way? Chinese History Stories: Stories from the Zhou Dynasty is a collection of fantastic stories about "foolish kings, clever scholars, brave generals, and kind-hearted princesses." The best part? They're all true! Students will recognize universal themes of bravery, sacrifice, and loyalty while at the same time learning "just enough" about Chinese history and culture to allow these stories to transcend simple anecdotes. I love that each story is illustrated by a different artist; this definitely adds to each tale's unique personality. Stories from the Zhou Dynasty is the first book of a two volume set (the second volume tells tales of China's Imperial Period, from 221 BC to 1911 AD). How could teachers use this book in the classroom? I would absolutely use this book as a theme setter (an introductory book) before launching into a novel study. 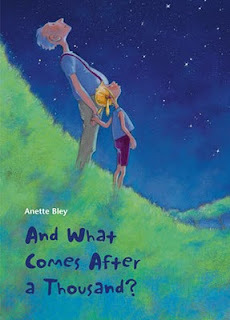 If I were about to teach a novel on the theme of loyalty, determination, or loss, I could easily find a story in this collection which would enable my students to construct their own understandings and connection to those themes. Each of the nineteen stories can act as a writing model. Following a read aloud of one of these tales, the teacher might ask: How does the author draw a picture of each character so quickly? What devices are used to move the story line? How is what's left out of the story as important as what's included? What are readers left to infer for themselves? Students can draw conclusions about Chinese culture and customs from the stories. What does this story teach us about Chinese culture? Would or could this same story take place in our culture? Have we heard similar themes in tales from other cultures? 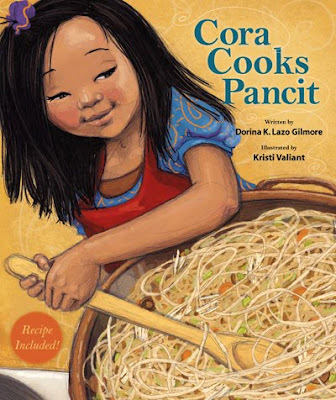 For the younger crowd, Cora Cooks Pancit (written by Dorina K. Lazo Gilmore and illustrated by Kristi Valiant) is a definite winner. Little Cora is eager for her chance to act as Mama's assistant chef, and when the time comes, it's pancit that they create. What's pancit? What better way to find out than to read the book and then use the simple recipe included in back to create that same Filipino dish in your own classroom. This book has received very high marks in picture book circles (yeah, that cool crowd in which I so often travel), and would be a great addition to any elementary unit on families, cultures, heritage, foods, relationships, or immigration. I love the big, lush pictures, as well as the many perspectives from which the reader is allow to view the action. (A great book to tie in with some old favorites of mine by Nora Dooley: Everybody Brings Noodles, Everybody Cooks Rice, Everybody Bakes Bread, and Everybody Serves Soup. These terrific titles discuss the similarities of cultural cooking in a fun way). I recommend you visit the site for yourself (be sure to enter the drawing for free books). You'll find that while this publisher does specialize in certain topics, the variety of the books it offers is quite large. In addition to the historical tales I mentioned above, Shen's also produces more traditional nonfiction titles about Asian culture including D is for Doufu: An Alphabet Book of Chinese Culture (in addition to Romanized versions of the words, Chinese pictograms are frequently included), and Land of Morning Calm: Korean Culture Then and Now. Most people recognize Jim Trelease as "that read aloud guy" based upon his best-selling The Read Aloud Handbook. It's a complete resource for teachers and parents on read-alouds, and on literacy in general. For me, one of the stand-outs from that book is Chapter Seven. In that chapter Trelease points out that not just books, but even breakfast cereals, look more appealing when they're shelved covers-out. All the chain bookstores feature their most recently released picture books that way, but how can classroom teachers find the space? 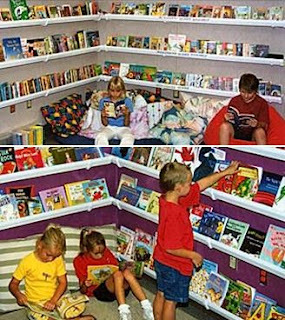 The answer: rain gutter shelving. You can check out that link and get the idea for yourself, and there's even a page at ehow.com which explains it in a bit more detail. Whether in your classroom or at home in the kids' room, it's a cool idea. A question I'm often asked when conducting picture book workshops is, "Do you think that e-readers will someday replace picture books?" I've always answered, "Never," perhaps too emphatically, hiding the bit of doubt that I actually felt. 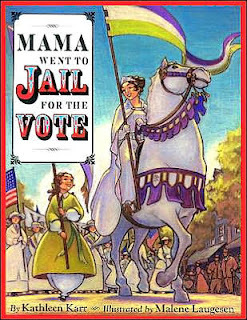 But then along comes a picture book that defies the possibility that this literature form will be replaced anytime soon. The Best Family in the World, written by Susana López and illustrated by Ulises Wensell, is such a book. Young Carlota anxiously awaits the arrival of her new family, and in her sleep imagines the possibilities. What will they be like? Will they be pirates, or tiger tamers, or pastry chefs? None of the above, as it turns out. But her new, ordinary family, while not as fascinating and adventurous as any she imagined, is in many ways even better. The Best Family in the World is what a picture book is meant to be. It first of all is slightly oversized, just begging to be shared aloud. Its saturated illustrations fill the pages, to the very edges in most cases, with purposeful blank spaces playing their roles in others. And its theme of possibilities is fully realized by the illustrator's generous use of whole page spreads. Reading this book on an electronic reader would be akin to viewing the Mona Lisa on a postage stamp, and arguing that the latter experience was equally satisfying and edifying. She'd live on a pirate ship! She'd sail the seven seas, decorate flags with skulls and crossbones and look for treasure troves of gold doubloons. She'd carry a monkey on her right shoulder and a parrot on her left. She'd have a patch over her eye and a wooden leg. Yes, a family of pirates would be the best family in the world! Students could use these same sentence patterns to create their own imaginary "best family." In fact, I liked that simple idea so much that I created a student activity sheet for that very purpose. 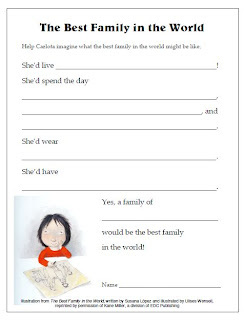 Either individually or as a class, students imagine a new family for Carlota, and write about the things she'll be doing and wearing. If every student creates their own, this same activity could be turned into a guessing game. Each student in turn reads aloud what Carlota will be doing with her new family, and then classmates guess the identity of that family. Not only would this picture book be a great tie-in to topics such as possibilities and families, but it would also be a great read-aloud for career days. And as far as I'm concerned, it's another book in a library of thousands that attests to the fact that picture books are here to stay. I wrote about book trailers at my How to Teach a Novel blog, and the response from teachers was extremely positive. Like a movie trailer (aka movie preview), a book trailer provides just a glimpse of the overall story, with plenty of visuals and just enough hook to draw in the viewer (or, in this case, the reader). Dr. Mark Geary has collected a terrific list of picture book trailers to get you started. You'll find lots of new and old favorites there (for example, Tuesday by David Wiesner; Diary of a Worm and Click, Clack, Moo: Cows That Type by Doreen Cronin; Sarah, Plain and Tall by Patricia MacLachlan, and The Whipping Boy by Sid Fleischman). If you dig these and want more, YouTube has several, searchable by name and (not as often) by author or publisher. Publishing houses offer them as well, and most publishers provide search functions to help find them. The Scholastic site, for example, has over sixty terrific, professionally published videos. You can also check out my recent series on Publishers' Resources: parts I, II, III, and IV to see which children's publishers provide videos. The video below shows how music, movement, and selected text can create anticipation for Farmer George Plants a Nation, written by Peggy Thomas and illustrated by Layne Johnson. If you're a middle grade or high school teacher, definitely check out the Scholastic site, and also take a look at 60 Second Recap, a hip new site which breathes life into high school classics. So how can classroom teachers make the best use of these videos? Book trailers can create a sense of anticipation for an upcoming novel or even picture book. A teacher can whet appetites for the next day's reading by showing a book trailer at the end of each day. By their short nature, book trailers provide a clear model of summarizing. Trailers may additionally provide models of other literary techniques including cliffhangers, foreshadowing, mood, pacing, and tone. Prior to the introduction of a novel, the trailer is an alternative way to provide a general story outline, apart the back cover blurb. This allows students to focus less on the overall "story line" and to concentrate more intently on literary elements. After seeing a preview for a movie, we often feel that we can predict the entire movie's story line, yet we go to see it anyway. Why? Because we want to fill in the gaps that the preview intentionally created. We also want to enjoy the visual elements, the witty banter, the twists and turns that the trailer only hinted at. When using a novel as a mentor text, a trailer can scaffold the overall story line. How is that different than the idea above? When teaching my students the importance of using alternatives to "said," for example, I assigned pairs of students two chapters from Gordon Korman's Swindle. Korman is a master at crafting realistic dialogue, and in one chapter alone a student found thirty speaking words other than said, and the word said itself was used just five times (and most often with an adverb). Although students only skimmed to collect the words, they still wanted to get an idea of the overall plot (some students, after all, were assigned Chapters 15 and 16, pretty deep in the action!). The Swindle trailer not only helped students see how their chapters tied into the overall story, it also encouraged over a dozen of them to sign out the book that day. Trailers can be used to build critical thinking skills. Allow students to compare the books to their trailers, guiding the discussion with questions such as Did the trailer give you the same feeling as the book itself? Do you feel that the narrator was right for the video, and why or why not? What did the trailer leave out? Why do you suppose those elements were chosen? For what audience is this trailer intended: teachers, librarians, parents, students, booksellers, others? How do you know? What would you change in this trailer and why? In some cases, students can even compare one trailer to another for the same book. This alternative book trailer for Swindle can be found on YouTube. What are the strengths and weaknesses of each? Which segments from each could be combined to make a new trailer that's even better than either of the originals? Have your own source for book trailers, or other ideas for using them in the classroom? Email me or leave a comment below. UPDATE: My new Twitter friend Tara Lazar (@taralazar) pointed out that there's now a Kids' Lit Book Trailer Ning. How cool is that? Thanks, Tara. See? Twitter is a good thing! This is my fourth, but probably not the last, post focusing on free resources from children's publishers. If you're just arriving, you'll want to check out the older posts to see parts one, two, and three. If you know of a publisher I've missed, drop me a line! Salariya is the UK publisher of the immensely popular Scholastic "You Wouldn't Want..." series which I discussed in a previous blog. They've put four of their more popular titles online for direct viewing, with a little bit of interactivity and related links to boot. Check out the online versions of You Wouldn't Want to be a Roman Gladiator, You Wouldn't Want to be an Egyptian Mummy, You Wouldn't Want to be a Polar Explorer, and You Wouldn't Want to Sail on a 19th Century Whaling Ship. Some of the links which appear at the end of each book are equally worth exploring. 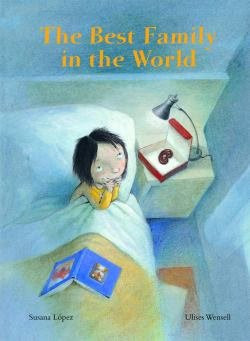 I don't know how I mentioned Candlewick in my previous post without noting their very cool Ology World site. While this is topic of a post on this site, I'll leave it to you if you wish to sneak a peek. Your boys especially will like the interactive approach to nonfiction. I also mentioned the Walker US site and the Walker Australia site, only to find out that there's an equally impressive Walker UK site. The Kids Den presents the user with the option to explore several minisites devoted to specific titles and characters (such as Judy Moody, Alex Rider, and Anthony Horowitz's Power of Five). A page for grown-ups features short yet comprehensive articles on topics such as Learning at Home, Reading Aloud, and Rereading. 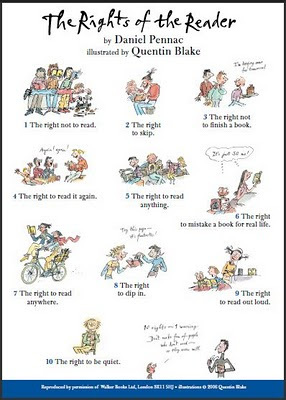 One resource I highly recommend you download right now is a poster titled The Rights of the Reader (see thumbnail to the right), written by Daniel Pennac and illustrated by the quirky Quentin Blake. A must-have for any classroom or library. Other cool resources they offer directly (posters, teaching guides, podcasts, videos, etc.) are available from a single page where they're organized by age group. Additional literacy links which will take you off the Walker site are also provided at Links We Like. Abrams' most famous titles for children come from their Amulet Books imprint. Leading the way is The Diary of a Wimpy Kid, now a best-selling series (visit the minisite here). Gaining ground, however, is the The Sisters Grimm, which appeals to a slightly different demographic. This title has its own minisite where teachers can download a teaching guide, allowing them to make natural connections to the fairy tale genre. Coming in third place is NERDS (National Espionage, Rescue, and Defense Society), also by Michael Buckley, author of The Sisters Grimm. This site, again, features its own minisite, author video, and first chapter online preview. Abdo Publishing Group incorporates a number of imprints at its site, and it's worth a look. The printable activities change often, and offer seasonal connections to many of its titles. One handout which teachers might find useful is the Create Your Own Superhero Handout. This is a terrific page to accompany the Hero Factory online activity which appeared in one of my previous posts on heroes in picture books (you can also check out Marvel Comic's cool Create Your Own Superhero interactive site). 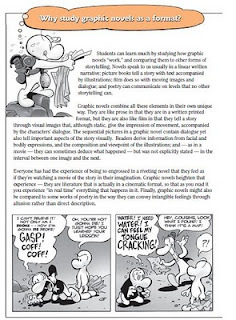 Teachers interested in making a case for using comics and graphic novels in the classroom may also appreciate the two page pdf Comic Books and Literacy Studies (also required reading if you need some convincing yourself). In that document some notable folks, such as Bishop Desmond Tutu and Jim Trelease, make a case for reading comics as a part of their own character development. While we're briefly on the topic of graphic novels, another terrific resource for librarians and teachers is a pdf created by Scholastic and Bone series author Jeff Smith. Using Graphic Novels in the Classroom is a straight forward guide written in Q and A format which answers many questions and counters many arguments about comics in school curriculum and libraries. Kane/Miller Book Publishers shares ideas (teacher to teacher) in single page Teaching Tips sheets (they download as Word documents). You'll find a decent list here to many favorites, including one of mine: Wilfrid Gordon McDonald Partridge by Mem Fox (see my dedicated post for this book). The Fun Page features printable games, coloring pages, bookmarks, etc. Nomad Press seems to specialize in nonfiction books, particularly those focused on history and the people who made it. Their Activity Pages contain crafts and explorations from their titles, and you'll find about four or five dozen to explore (all available as pdfs from Scribd). 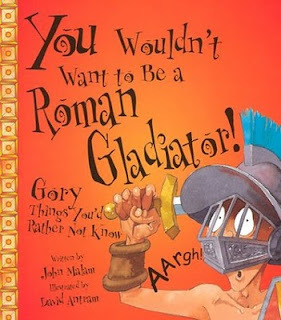 Each featured book also has a full-page layout, featuring not only a summary, list of references, and information about the authors and illustrators, but also web links, downloadable Facts and Q and A sheets, plus a link to the activity sheet for that title (see Tools of Ancient Romans for a sample). 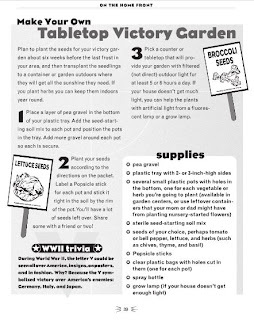 Pictured activity is Make Your Own Tabletop Victory Garden from Great World War II Projects You Can Build Yourself. Peachtree Publishers allows you to see all teacher's guides on a single page, and they're accessible by clicking on any book's cover (this one page includes picture books, middle school novels, and YA lit). 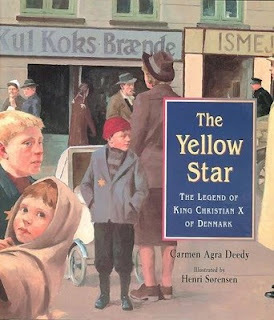 I was pleased to see a teaching guide for The Yellow Star: The Legend of Christian X of Denmark, one of my favorite picture books for discussing the Holocaust (see others at a previous post). Peachtree is also creating a collection of story kits, meant for teachers of lower grades, which contain many more activities, templates, and picture resources than the above teaching guides. Although I mentioned Harper Collins in the first installment of this Resources series, a reader suggested I also point teachers and students to the Harper Collins Children's Video Player, which offers snippets and full video versions of books from this publisher. Are there more resources out there available from publishers? Absolutely! Let's find them together. Email me or leave a comment below if I've neglected to mention some great resources available from a publisher, not only here in the states but anywhere in the world! Death. It's a nearly universal theme for middle school and YA literature (see my No More Happy Endings discussion at the English Companion Ning), but not one of the more popular themes for picture books. But for those who teach units or novels dealing with loss, life cycles, generations, war, or even seasons, the topic of death is likely to emerge. More important to consider, however, is that your students will also lose people in their lives: siblings, parents, grandparents, friends, teachers. Picture books can provide a delicate and appropriate means of discussing the loss of loved ones. Audrey Penn, the author of the New York Times #1 bestseller The Kissing Hand has written a simple yet thoughtful picture book on the topic of coping with death. 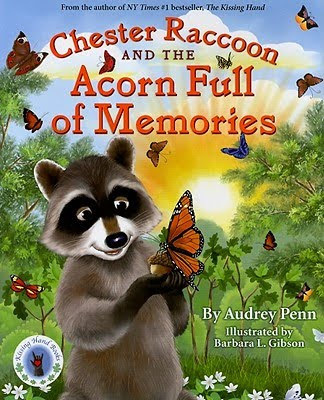 In Chester Raccoon and the Acorn Full of Memories, Chester anxiously tells his mother that his friend Skiddil Squirrel won't be returning to school because of an accident. But he has no understanding of what that word accident means, nor does he understand what the teacher meant when she said that Chester had died. Mother explains these things to Chester, and then suggests "making a memory" so that Skiddil won't be forgotten. Although this book is meant for audiences younger than those I typically teach and write for, I recommend this book because it will help students to understand the positive purposes behind memorial services. Audrey Penn has skillfully structured the narrative to include a blueprint for any teacher or parent helping a child to deal with loss. First, Mrs. Raccoon helps Chester to understand the nature of death as frankly and clearly as possible. She compares it to experiences he has already known, such as the passing of old Mr. Beaver. Second, Chester finds comfort in the company of friends. I read over twenty picture books on the topic of death before writing this post, and several of them portray children trying to sort through their feelings about lost loved ones with no direction from adults or friends. I would hate for children to think they're alone in a time of crisis. In Annette Bley's And What Comes After a Thousand, for example, young Lisa is upset that mourners at Otto's service are so quiet and morose; that's not what her old friend would want. Fortunately, she is able to confide in her friend Olga, who helps Lisa to deal with the passing of her friend. Third, Chester and his friends recall their fondest memories of Skiddil Squirrel. Their vivid recollections remind them of the full and happy life he led. Mrs. Raccoon also points out that some of Skiddil's activities have left a positive impact on the world itself. In this way, their memories also incorporate a place which was special to that friend. Similarly, Fox's friends in Always and Forever, written by Alan Durant and illustrated by Debi Gliori, fondly and jokingly recall their old pal as a terrible cook, a terrible handyman, and a horrible gardener, whose heart had always been in the right place, even if his talents hadn't. We also see the importance of counting memories in perhaps the best known picture book on the topic of death, The Tenth Good Thing About Barney by Judith Viorst. Fourth, Chester selects a physical object to remember his friend. This is in almost direct opposition to an unhealthy reaction taken by most adults, which is to throw themselves into some activity, usually work, in order to take their minds off the memory of the loved one. Creating a connection between a loved one and a special object plays a large part in the plot of The Hickory Chair, written by Lisa Rowe Fraustino and illustrated by Benny Andrews. Louis's Gran is someone special, whose rich voice and distinctive smell (lilacs, with a whiff of bleach) are always comforting to the young sightless boy. But when she passes away, it seems she has left a cherished object to everyone but him. A years-later discovery reminds him of just how deeply she felt for her "youngest bestest" grandson. Fifth, the reader realizes that there is no guilt for those who are still living. They owe it to their loved one who has passed to remember, but to also live happily. Another book which focuses on the lives of the living who remain after a loved one has passed is the sensitive and lyrical Grandpa Never Lies, written by Ralph Fletcher and illustrated by Harvey Stevenson. Below are a few additional titles I felt teachers and parents might want to investigate. If I left out a book which you've used in the past with success, please leave a comment below or email me. A book which cleverly answers the question, "Why must anything die?" 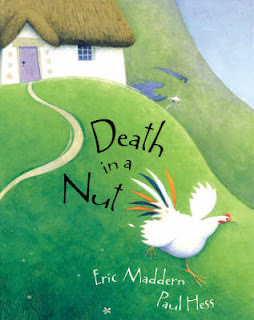 is Death in a Nut, retold by Eric Maddern and illustrated by Paul Hess. This title helps to explain death's role in the life cycle. I wouldn't use it, however, following the death of a loved one; in that case it might seem as if you're trying to rationalize, rather than memorialize. Grandma's Gone to Live in the Stars by Max Haynes is the shortest and simplest of all the picture books here, and tells good-byes from the perspective of the grandma who has died. It's a comforting title for children who might feel better knowing that the person who has died has said their own farewells. Ghost Wings by Barbara M. Joosse and illustrated by Giselle Potter (the talented artist behind The Honest to Goodness Truth) incorporates symbolism from Mexican culture as its narrator struggles to understand the death of her grandmother. Reference pages following the narrative provide teachers and parents with additional information on the Days of the Dead (Los Dias de los Muertos), celebrated between October 31 and November 2, as well as Monarch butterflies, which play a symbolic role in the book. Also, a Guide to Using this Book includes questions and activities on Feelings, Memories, and Butterflies. Kids Health has short online articles on Helping Your Child Deal with Death and When a Pet Dies (which is oddly much longer than the combined length of two other articles on When a Friend Dies and When a Father Dies). NASP (National Association of School Psychologists) offers a pdf on Helping Children Cope With Loss, Death, and Grief. These materials are meant to address the loss of life occurring in the war in Iraq, and are adapted from tips originally placed on that organization's web site following the September 11th tragedy. Related topics such as grieving and mourning, talking to a preschooler about death, and the role that faith can play in discussions about death can be found at the Dr. Spock web site. Under what rock have I been living? That's a question I asked recently over at my How to Teach a Novel blog. A couple readers emailed and suggested I repost here, since the reason for that rhetorical question would be of interest to teachers here as well. I simply wondered how it took so long for me to discover Tracie Vaughn Zimmer. She's an author, and I do recognize a couple of her titles. But somehow I missed that she has also created this awesome site (absolutely no hyperbole intended) containing original teaching guides for picture books (over eighty of these! ), YA books, and poetry. All for free! All Tracie asks in return, if you like what you see, is that you buy a copy of one of her recent books. Pretty good deal: free resources and one of her critically acclaimed titles for your library. Personally I found teaching guides for many books I'm hoping to include in future blog posts including Abe's Honest Words, Daniel Boone's Great Escape, River of Words: The Story of William Carlos Williams, and Mama Went to Jail for the Vote. So in a rare move, I'll shut up now. I'll let Tracie's web site speak for itself (and you can check out her blog as well). Thanks, Tracie, for your terrific resources!